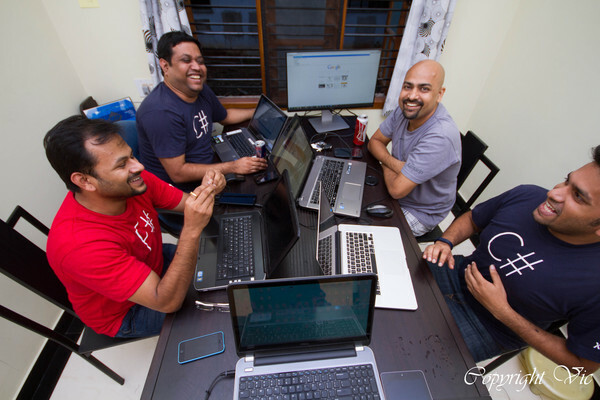 Hackathon = Hack + Marathon – Really?!!? When I was invited to be a part of Xamarin Hackathon I was a bit skeptical, for one I had never been a part of such an event ever before, secondly, non stop coding and churning out a meaningful system at the end of the second day felt like a seemingly impossible task. 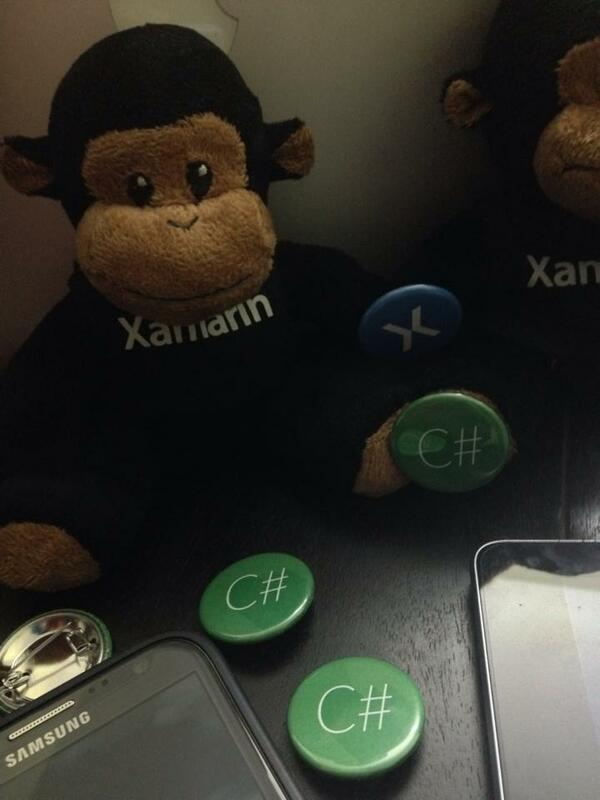 Nevertheless, I accepted the challenge and turned up for Xamarin HackNight. I was a bit late as usual. Folks were already there and were discussing something as I made my way to an empty chair. By folks, I meant Nish, Vic, Pooran and Anubhav. Surprisingly, we did not have an idea what we were going to make till then. Empty minds! May be that was a good thing. I thought we would be discussing about the application but they were taking food orders, showing off the gadgets each had and the hacking they had done so far. I was searching whether I had any gadget to show off. I found a wedge mouse in my bag. That’s all I had. I was already thinking whether it was a bad idea to join these geeks. I was corrected in 10-15 minutes as we got back on track and started brainstorming on application ideas. It was quickly decided based on some of our previous discussions that it was going to be a Birthday Reminder application based on Xamarin forms for the event. I was able to contribute in small nevertheless meaningful way to the session. Phew! A backend to store these data and for notifications – Hangfire and AWS! MVVM to tie all these elements into a robust architecture. Once the planning was done, we picked up one component each and started looking into it. Initial formal tones by now had changed to fun as we started discussing and working on our assigned areas, each helping out the other as the application slowly came to life. Meanwhile, Kirti joined us late in to the evening though he had just recovered from a fever. His motivation level was commendable. If I were him, I might have taken the easy way out and confined myself at home. He instead decided to join us and code! And we rewarded him by assigning Xamarin Forms and UI work! What did we discuss? Everything under the sun. Some wavelengths matched others were over head transmissions. Disconnected discourses many. What did we not discuss? Very few things escaped our chatter boxes. Pooran, Vic and Nish brought in their combined experience and knowledge in different areas to guide us and push the application work forward. Anubhav and Kirti brought in the enthusiasm and mobile application development experience to keep the night young and alive. Vic ensured that the fun never stopped with his inimitable attitude and comments. 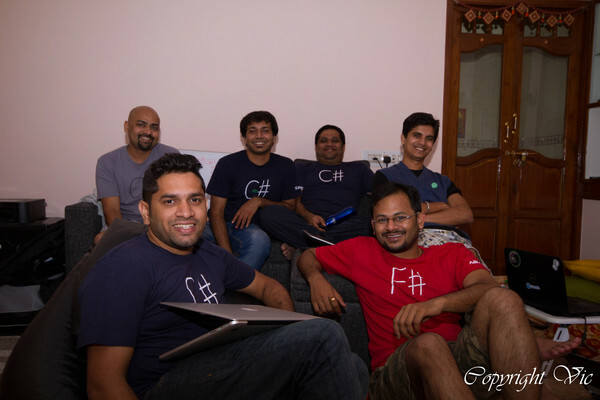 Nish played the resourceful host literally with both his Xamarin knowledge and event hosting. As the night dawned into day 2, backend was shaping up well. I could see Vic and Pooran feverishingly working on Hangfire and Services. Auth and Social component looked in place. Xamarin forms was proving a bit tricky as we learnt it and coded. Overall application architecture was in place. Integration was pending. And to be frank it is still a work in progress! We checked in stuff to GitHub by noon for a sumptuous lunch at a nearby restaurant. Post lunch we made plans on pending work and discussed other informative nuggets about Xamarin. What was supposed to be a small session and a quick winding up discussion extended to a 2 hour discussion! 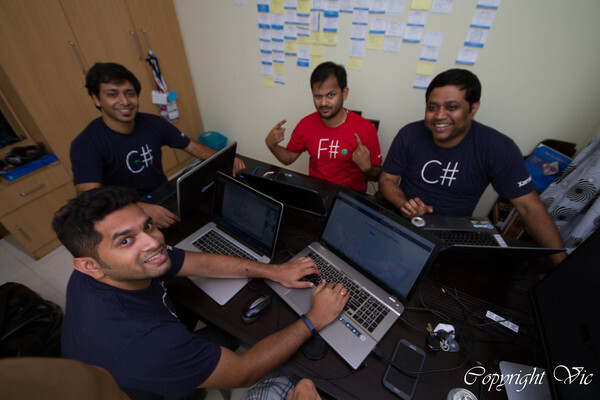 For me, it was an amazing learning experience – Xamarin Forms mainly. What was the take away – new people, interesting interactions, fresh ideas, brilliant brainstorming, stimulating discussions and what not. I realized what you take away from such a gathering is not only technology but also an unique experience! I am definitely looking forward to the next one. 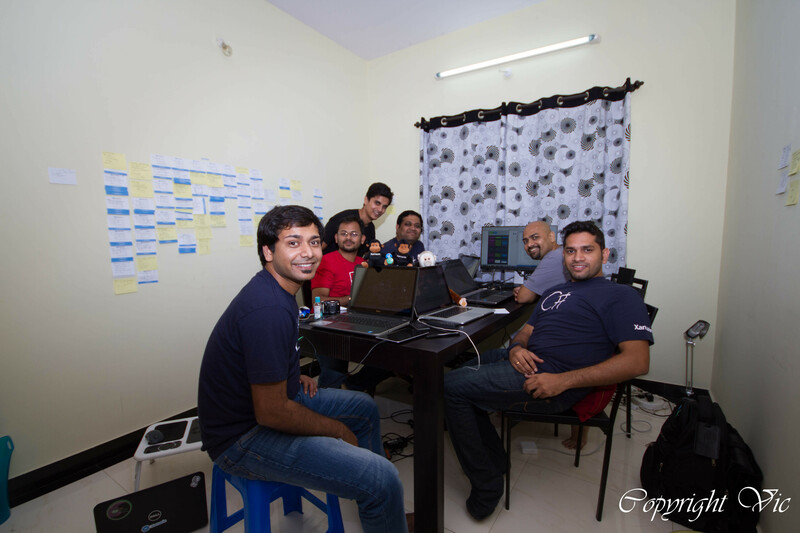 “The Hacknight Day 1, I just recovered from fever and ran to join my Xhackers Gang. I had a quick Design Discussion and I started working on Xamarin Forms.” (XForms). During the discussion I got learnings on XForms, Xamarin Forms & Shared Project. It was very useful if we are building one project where all the XForms elements are shared within all three platforms(iOS, Android, Windows Phone). Also using the Compiler Directives we can write platform specific functionality inside the forms. The experience was awesome. Thanks to Nish for clearing all my doubts. Around 3AM we had huge discussion on Architecture, Facebook Authentication, Models, View Models and UI. During this time I learned new thing HangFire (http://hangfire.io/) from Vic. I will dig more about HangFire. P.S. 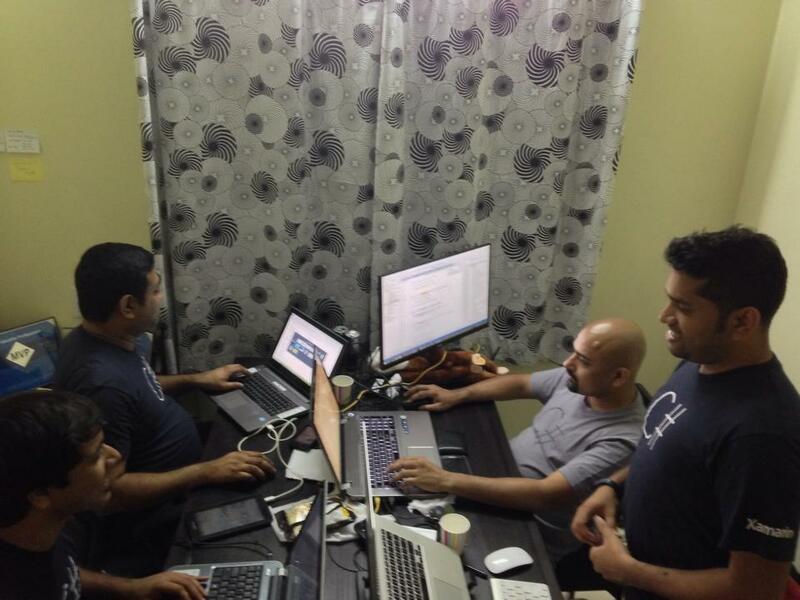 This post covers the overall experiences of the first Xamarin HackNight in Bangalore. Application information, technical deep dive, details about the individual components and integration will be covered in the next blog post.